My daughter says that every time it snows, she thinks of Robert Frost’s poem ‘Stopping by Woods on a Snowy Evening’ which is one of her favorites. Except, since we don’t live near any woods, rather than stopping to “watch the woods fill up with snow” she watches the streets fill up with snow. The first time it snows is always more exciting, though, isn’t it? 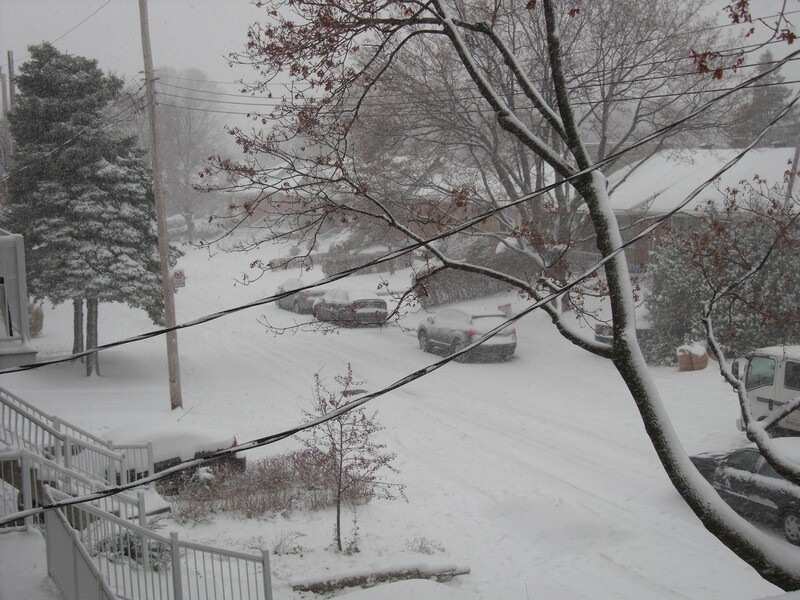 I love to look out the window of my living room and watch as the world outside turns white. The snow looks so pure and pristine. 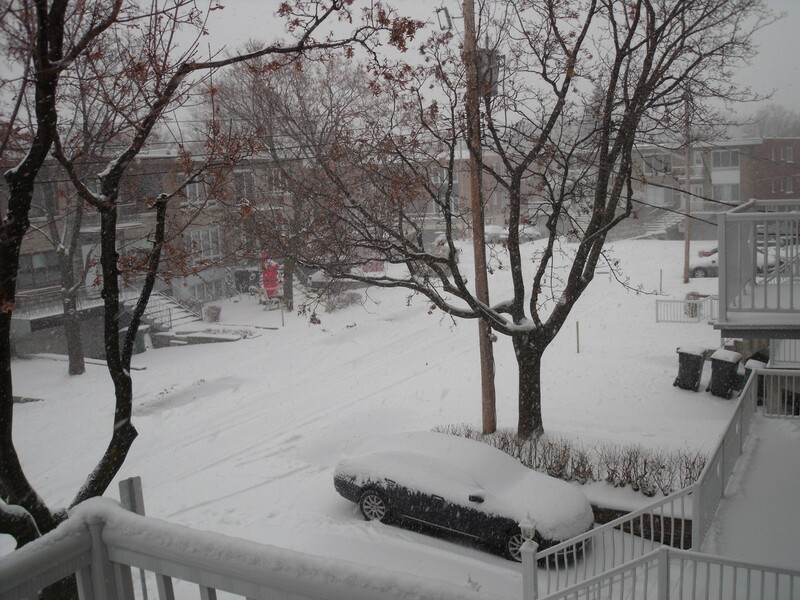 Here is the view from that window this morning, after the first proper snowfall of the season in Montreal, Canada. This entry was posted in Ramblings and tagged book, books, Canada, coffee, cold, cooking, daughter, family, frost, home, house, laundry, love, Montreal, neighborhood, poem, poetry, promises, robert frost, season, sleep, snow, snowfall, story, street, streets, window, winter, woods. Bookmark the permalink. snow’s the beautifulest thing in the world, and a beautiful metaphore once it turned to … mud. Specially the first time. Love the whiteness and the tranquility. Cheers!